The Danner 453 GTX is a stout, sturdy and comfortable hiking boot featuring waterproof GORE-TEX™ Liner with nubuck and fabric upper. 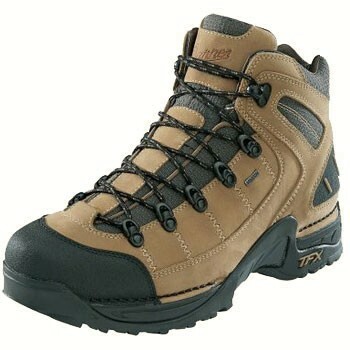 TERRA FORCE™: Patented lightweight, durable midsole/shank system for added stability. Aggressive TERRA FORCE X™ outsole technology for superior traction creates a remarkable heel-to-toe energy transfer. Weight: 48 oz. Height: 5.5".